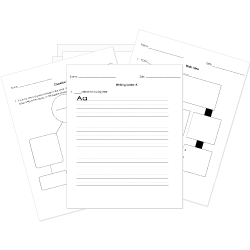 You can create printable tests and worksheets from these Grade 9 Autobiography and Biography questions! Select one or more questions using the checkboxes above each question. Then click the add selected questions to a test button before moving to another page. What does Enrique see in Chapter 4: Gifts and Faith, which sets the precedent for the entire chapter on religious allusions? What did Enrique get intoxicated on before leaving his hometown? What do migrants call the train that travels to the United States? What city was Enrique born and raised in? What was the most difficult Mexican state to pass through? What age did Lourdes leave Enrique to go to the United States? What river separates Mexico from the United States that Enrique must swim across to get into Texas? What does Enrique work as when he arrives to North Carolina?